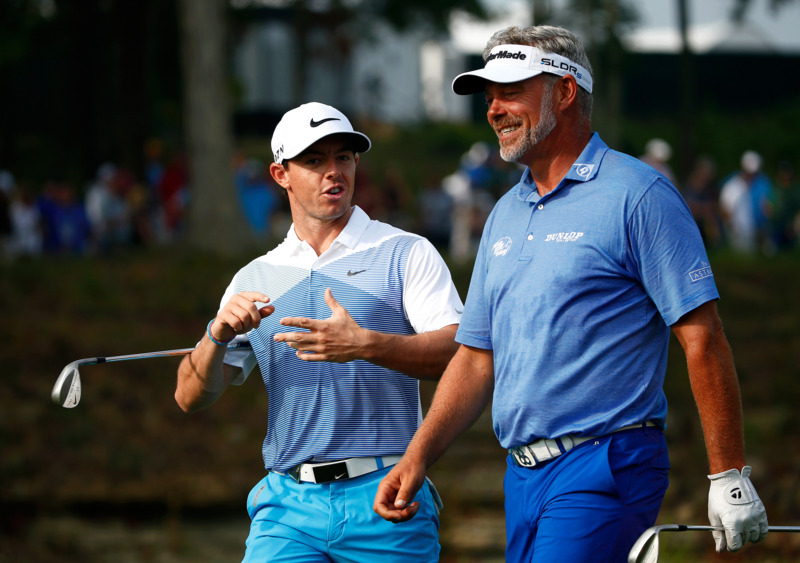 Rory McIlroy and Darren Clarke at the 2014 PGA Championship at Valhalla GC. Darren Clarke revealed Tuesday night at the Association of Golf Writers’ dinner in St. Andrews that Rory McIlroy may miss the remainder of 2015 while he recovers from a left ankle injury. Clarke, who won the 2011 British Open at Royal St. George’s, accepted the Golf Writers Trophy for the injured McIlroy at Tuesday night's dinner and, according to reports, let slip that we may not see the 26-year-old and world No. 1 in action again until 2016. McIlroy announced July 6 via an Instagram post that he suffered a “total rupture of left ATFL (ankle ligament) and associated joint capsule damage” while playing soccer. Subbing for @McIlroyRory tonight AGW dinner @DarrenClarke60, fresh from champs dinner, slid in a line about Rory not being back until Jan. Wondering what to make of Darren Clarke's line tonight at the AGW dinner that Rory won't return until January. 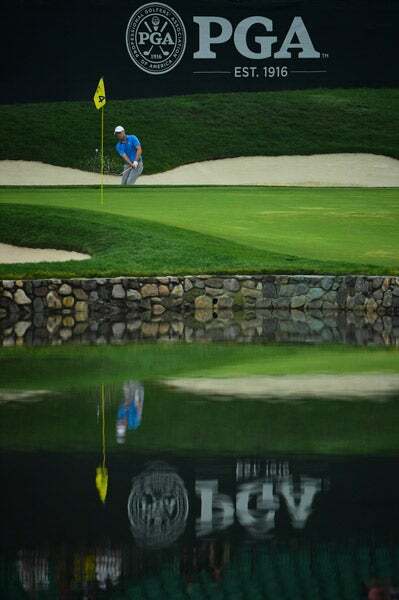 When McIlroy announced the injury he noted that he would miss the Scottish Open. Two days later he announced he would be unable to defend his 2014 British Open title at St. Andrews. British Open 2015: Who’s Hot Heading Into St. Andrews?